The Bee Hive is reminiscent of vintage honey jars from days past. Before the era of artificial sweeteners, many people took a scoop of honey from their honey jar to sweeten teas, cereals, and recipes galore. Here at Anna's Honey we have produced locally sourced raw honey for more than 30 years. We continue to uphold the commitment to excellence established by our founder: To provide the finest quality Grade A, all natural, raw honey products. Our gourmet honey products differ from most supermarket products because they are 100% pure and natural. We never add preservatives, additives or artificial ingredients. 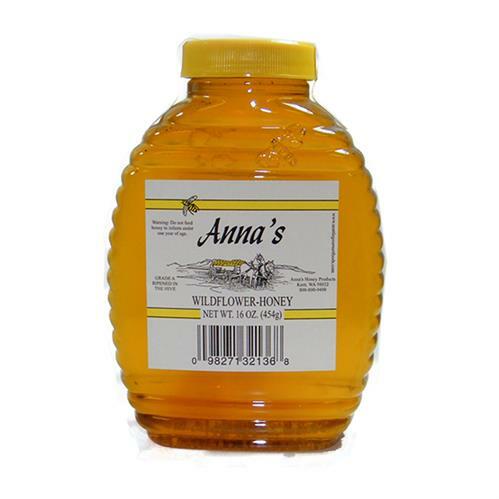 And you can be sure that Anna's Honey is never pasteurized - making it Grade A, raw honey. Each honey varietal is filtered at 200 microns. This filtration method removes bee parts and wax pieces that we believe to be detrimental to the gourmet quality of the honey while allowing the natural pollens to come through. After this minimal filtration, we are left with clear, high-quality raw honey with a thick, smooth, flowing texture. Enjoy the taste of raw blackberry honey, just as it comes from the hive! You can almost smell the blackberry blossoms in this fragrant, warm, and sweet honey.